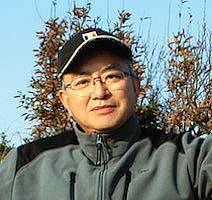 Henry Zhuang (Zhuang, Yinghao), born in Shanghai, China, December 11, 1944, is a professional asset and enterprise evaluator, and adjunct professor at Shanghai Normal University, School of Finance and Business. For over thirty years he has passionately studied and practiced taijiquan. His lifelong ambition is the promotion of taijiquan culture. He has studied with Li Zhao Sheng, the creator of Meridian Circulating Taijiquan; Zhu Datong, researcher of taijiquan; Yan Cheng De, a disciple of Zhu Guiting (inheritor of Yang Style); Xu Guo Chang (student of Ding De Sheng, disciple of Master Wu Gong Yi) from whom he learned Wu (Gong Yi) Style Taijiquan. He has acknowledged Shou Guan Shun (student of Zhi Xie Tang, inheritor of Sun Style Taijiquan) as his master, and been accepted as a disciple by Duan Baohua, the principle master of Liang Yi Dian Xue Gongfu. He was fortunate to be instructed by Lang Cheng and Guo Zheng Xun, disciples of Wei Shu Ren (inheritor of The Mind Approach of Internal Power of Yang Style). Since 2000, Henry has been giving free lessons on the mind approach of taijiquan to more than sixty business executives, including presidents of prominent companies, partners of the Big Four, bank presidents, and senior managers. In May 2013, The Mind Approach by Henry Zhuang was published by SDX Joint Publishing Company. In January 2014, the flash of The Mind Approach of Wu Style Taiji Quan (Chinese) was published globally in Apple’s App Store. 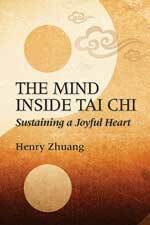 In March 2014, the publishing contract of the book and ebook titled The Mind Inside Tai Chi: Sustaining a Joyful Heart, was signed between Henry Zhuang and YMAA Publication Center.